 The Community Foundation San Luis Obispo County's General Endowment Leadership Fund provides flexible resources to support the Foundation's philanthropic leadership in San Luis Obispo County. Operating Support helps us to offer programs and services to our donors and nonprofit partners. How would you like to be listed in the acknowledgment letter?